Dungeon Defenders II: Das sind die Systemanforderungen zum Spielen! Startseite » Unterhaltung » Spiele » Dungeon Defenders II: Das sind die Systemanforderungen zum Spielen! Läuft Dungeon Defenders II auf deinem Computer? Schaue dir jetzt die Anforderungen für deinen PC an um das Spiel von Trendy Entertainment zum laufen zu bekommen. Wir zeigen dir in einer einfachen Übersicht die Voraussetzungen um Dungeon Defenders II auf deinem Rechner installieren zu können. 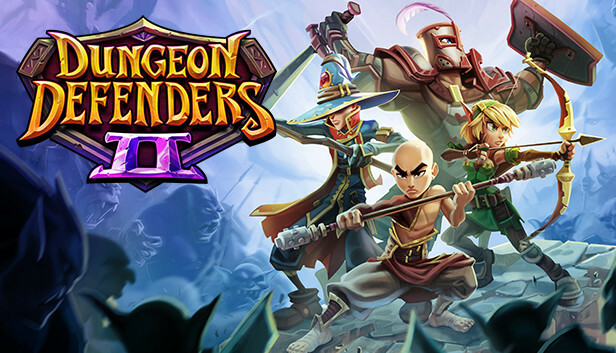 Dungeon Defenders II is a cooperative Action Tower Defense game packed with roleplaying elements like loot, leveling, and pets.. Dungeon Defenders II ist ein Action Spiel von Trendy Entertainment. Veröffentlicht wurde es am 20. Juni 2017 von Trendy Entertainment. Zusätzliche Anmerkungen: Internet connection is required to play. Zusätzliche Anmerkungen: Internet connection is required to play. Integrated graphics chips are not recommended. Etheria is under attack! Build mighty defenses to freeze, burn and disintegrate your foes -- then grab a sword and jump into the action! Level up a team of heroes, deck them out in loot, and destroy the hordes by yourself or in four-player online co-op! Construct a deadly grid of laser beams. Drown your foes in quicksand. Build a wall of flamethrowers and watch the world burn, you sicko. A wide variety of defenses are at your disposal, and you´ll need them all to protect the Eternia Crystals from the Old Ones´ army. Leap into battle and get your hands dirty! Grab a sword, a bow or a laser shotgun to blast through hordes of enemies. As you play, you´ll find loot and Shards to equip and customize your heroes with. Just beware of the goblin blood. As much as you scrub, the smell never goes away. In your journey, you´ll visit ancient forests, massive castles, haunted temples, active volcanoes, and a surprisingly small number of dungeons for a game named Dungeon Defenders II. Bring a Friend (or 3)! Dungeons aren’t meant to be defended alone! Invite your friends to join you in Etheria for four-player online co-op. As we did in Early Access, we´re going to add more heroes, maps, loot and things to do, and we´ll continue to listen to you about how to improve Dungeon Defenders II!